The classes posted here are our most current studies. Both audio and video files of each class are provided. The video playlist embedded below can also be accessed directly from this link. Past classes taught at TBC are kept in the Audio Archives. 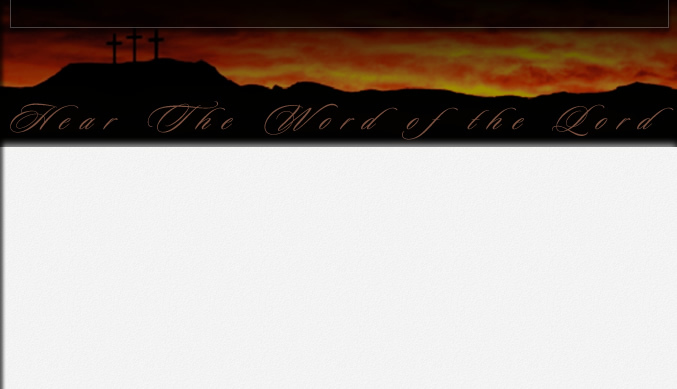 The pastor's personal notes are available in PDF format on the Class Notes page. Audio files below are in WMA format. Windows users can easily convert the files to MP3 in iTunes (simply import the class and iTunes will do the rest). Files may also be converted to MP3 using a freeware (Windows Users / Mac Users). Note for Mac users: use "Switch" in place of the default program Quicktime. TBC is not supported or endorsed by aforesaid software nor is responsible for any unforeseen issues with these softwares. Use at your own discretion. April 17-27 with classes resuming on Sunday, April 28th.